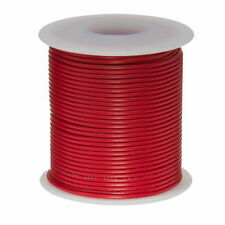 30 AWG KYNAR wire wrap - 30 gauge Kynar - 100 FEET Any Color!!! 8-3 Generator Cord, 8-3 rubber cord, 8 gauge 3 wire cord, 8/3 SO Cord, 8 AWG 3 Conductor Flexible Cord. 8/3 Extension Cord. Conductor Strand: 65/26. Cut to length - sold by the foot. Weight: 0.375 lbs per ft.
6/3 SOOW Specifications 6-3 Generator Cord, 6-3 rubber cord, 6 gauge 3 wire cord, 6/3 SO Cord, 6 AWG 3 Conductor Flexible Cord. 6/3 Extension Cord. Conductor Strand: 101/26. Cut to length - sold by the foot. 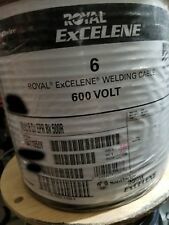 Up for sale is NEW priced per 50 foot Southwire Royal Excelene #6 or 6awg Black Welding/Battery Cable. Rated at 600V/-50C - 105C. Cable legend is printed on jacket (see pictures). Made in the USA. Type: UL1007 Stranded Wire (7/30). Hook up wire is an insulated conductor wire used in many electronic applications. The wire is insulated using PVC, PTFE, Teflon, as well as other materials. Hook up wire consists of a single conductor (or solid wire), or multiple conductors (stranded wire), and can be bare or tinned. Type: UL1007 Stranded Wire (7/32). Hook up wire is an insulated conductor wire used in many electronic applications. The wire is insulated using PVC, PTFE, Teflon, as well as other materials. Hook up wire consists of a single conductor (or solid wire), or multiple conductors (stranded wire), and can be bare or tinned. MTW 6 AWG GAUGE RED STRANDED COPPER SGT PRIMARY WIRE 25 FT. Pure Copper. QTY: 25 FT.
Model # 13055955. Southwire 250-ft 12/2 UF Wire (By-the-Roll) Underground Feeder. Southwire type UF-B cable is manufactured as a 2 or 3 conductor cable, with or without a ground wire. Multiple conductor UF-B cable may be used for interior branch circuit wiring in residential or agricultural buildings at conductor temperatures not to exceed 90°C (with ampacity limited to that for 60°C conductors). It has x3 18awg color-coded premium EPDM-insulated stranded (16x30 stranding) bare copper conductors, with fillers, all in a premium grade black Carolprenejacket. Made in the USA. See specs below. UL1007 300 Volt. 20 AWG Gauge Stranded Hook Up Wire Kit 5 FEET Ea. all are right at 5 feet long. YOU GET ALL 8 Colors. Magnet WireAll Magnet Wire. Magnet Wire Specifications. Approximate Length Solid Round Copper. 155°C (311°F). Essex Soderon 155 (Made in USA). Modified polyurethane resin with a polyamide (nylon) overcoat. PER FOOT Aluminum URD Dyke 2-2-2-4 Black Burial Quadruplex Secondary Cable Wire. - Aluminum URD Quadruplex Cable has a concentric strand or compressed 1350-H19 series aluminum conductor. Conductors are cabled together, with surface printing for identification. 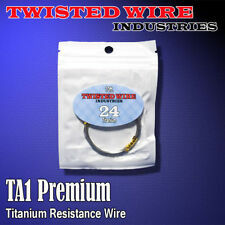 Magnet Wire Kit, 22, 24, 26, 28, 30, & 32 AWG, 2 oz Each. Magnet wire allows multiple layer of wire to be wound together without short circuiting. The insulation is made from modified Polyurethane with a polymide overcoat, and protects the coiled wire from short-circuiting. Pure Copper Stranding. 25 FT OF EACH COLOR. Black - Red - White - Green - Blue - Brown - Yellow. OUT OF COLOR -TO GET YOUR ORDER. one length. 24 AWG Gauge UL1007 300Volt Stranded Hook Up Wire Kit 5 FEET Ea. 5' EA BLK RED GRN YEL WHT BLU 3/64" Polyolefin 2:1 Ratio Heat Shrink Tube Wire. 3/64 shrink tube will fit on all wires that are 24 gauge and smaller. Type: UL1007 Solid Wire. Hook Up Wire, 20 AWG, Solid Kit, 6 Colors, 25' Length. Sizes Available 16 AWG – 28 AWG 18 AWG – 24 AWG 26 AWG – 28 AWG 12 AWG – 14 AWG. Hook up wire is an insulated conductor wire used in many electronic applications. 18/4 18 Gauge AWG 4 Conductor Stranded Foil Shielded CMR non Plenum Cable 25 ft.
MTW 6 AWG GAUGE BLACK & RED STRANDED COPPER SGT PRIMARY WIRE 50 FT. Pure Copper (NOT CHEAPER CCA). QTY: 25 FT BLACK. TEMCo ID: MW0050. About TEMCo. TEMCo Industrial. "I have always been delighted with the service from TEMCo.". Gauge: 24 AWG. Conductor: Solid Round Copper (99.9% pure). NOTE: Both ends of wire are accessible. Type: UL1007 Solid Wire. 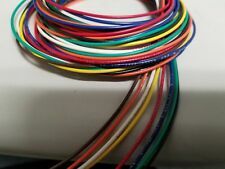 Hook Up Wire, 22 AWG, Solid Kit, 6 Color, 25' Length. Sizes Available 16 AWG – 28 AWG 18 AWG – 24 AWG 26 AWG – 28 AWG 12 AWG – 14 AWG. Hook up wire is an insulated conductor wire used in many electronic applications. Type: UL1007 Solid Wire. Hook Up Wire, 16 AWG, Solid, Black, 25' Length. Sizes Available 16 AWG – 28 AWG 18 AWG – 24 AWG 26 AWG – 28 AWG 12 AWG – 14 AWG. Hook up wire is an insulated conductor wire used in many electronic applications. Type: UL1007 Solid Wire. 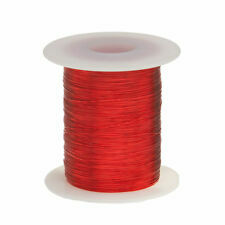 Hook Up Wire, 20 AWG, Solid, Red, 100' Length. Sizes Available 16 AWG – 28 AWG 18 AWG – 24 AWG 26 AWG – 28 AWG 12 AWG – 14 AWG. Hook up wire is an insulated conductor wire used in many electronic applications. For sale is a 25' Length of Carol, 6 Conductor, 18 Gauge Stranded Shielded Plenum Cable. I will cut multiple orders in a single length up to what I have remaining. Our willingness to drop prices usually depends upon how long an item has been listed and how many people are watching. Type: UL1007 Solid Wire. Hook Up Wire, 20 AWG, Solid, Black, 100' Length. Sizes Available 16 AWG – 28 AWG 18 AWG – 24 AWG 26 AWG – 28 AWG 12 AWG – 14 AWG. Hook up wire is an insulated conductor wire used in many electronic applications. 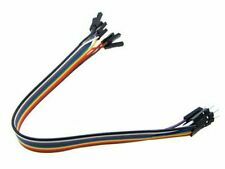 It consists of x1 twisted pair of 22awg PP (PolyPropylene)-insulated color-coded stranded (7x30 stranding) tinned copper conductors, covered with a Beldfoil Z-fold shield (100% coverage aluminum foil/polyester backing with shorting fold overlap), with 22awg stranded (7x30 stranding) tinned copper drain wire, all in a black PVC (Polyvinyl Chloride) jacket. It consists of x2 12awg PVC/nylon insulated solid bare copper conductors, with uninsulated 12awg solid bare copper ground wire, in a parallel/flat lay, all in a yellow PVC jacket with SIMpull lubricant coating. 22 gauge Stranded Wire Set. Need More?. Conductor Strand: 65/30. Also Known As: 12-4 SO Cord, Generator Cord, Rubber Cord, 12 Gauge 4 Wire Cord. UL Flexible Cord - UL Subject 62. CSA Flexible Cord - C22.2-49. 18 through 2 AWG fully annealed stranded bare copper per ASTM B-174. Type: UL1007 Solid Wire. Hook Up Wire, 18 AWG, Solid, Black, 25' Length. Sizes Available 16 AWG – 28 AWG 18 AWG – 24 AWG 26 AWG – 28 AWG 12 AWG – 14 AWG. Hook up wire is an insulated conductor wire used in many electronic applications. Conductors 6 Conductors Stranded 18 Gauge (6C, 18AWG). This is a 25 Foot Length of NEW 6 Conductor 18 Gauge Stranded Shielded Cable for Computer, Data, Sound and EIA RS232/RS485 Cabling Applications. Hook-Up Wire Kit -STRANDED - 22 Gauge. 10 ASSORTED COLORS - TOTAL 100 FEET. 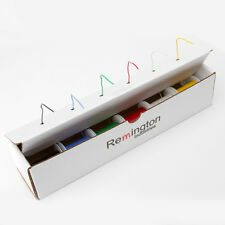 10 Assorted Colors - 10 Feet Each BLACK / RED - BLUE - GREEN - WHITE - YELLOW - VIOLET - ORANGE - GREY - BROWN. mil spec- #M16878/1. 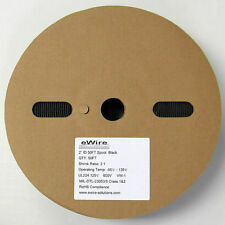 Up for sale is NEW priced per 100 foot Southwire #8awg SIMpull THHN/THWN-2 Stranded Black Building Wire. 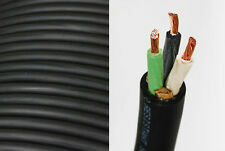 It consists of an 8awg stranded bare copper conductor in a black PVC/nylon THHN/THWN-2 rated SIMpull jacket. Type: UL1007 Solid Wire. Hook up wire is an insulated conductor wire used in many electronic applications. The wire is insulated using PVC, PTFE, Teflon, as well as other materials. Hook up wire consists of a single conductor (or solid wire), or multiple conductors (stranded wire), and can be bare or tinned. Type: UL1007 Solid Wire. Hook Up Wire, 22 AWG, Solid, Black, 100' Length. Sizes Available 16 AWG – 28 AWG 18 AWG – 24 AWG 26 AWG – 28 AWG 12 AWG – 14 AWG. Hook up wire is an insulated conductor wire used in many electronic applications. Up for sale is NEW priced per 25 foot Priority Wire & Cable Black 14/4C SOOW Portable Power Cord. Made in the USA. See specs below. This cable is UL/CSA Listed for indoor/outdoor use. SOOW rated to 600V/90C. UL1007 300 Volt. 26 AWG Gauge Stranded Hook Up Wire Kit 5 FEET Ea. 5' EA BLK RED GRN YEL WHT BLU 3/64" Polyolefin 2:1 Ratio Heat Shrink Tube Wire. 3/64 shrink tube will fit on all wires that are 24 gauge and smaller. 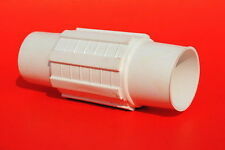 Insulation Material: Polytetrafluoroethylene (PTFE). 22 AWG Blk 5 ft. 22 AWG Brn 5 ft. 22 AWG Red 5 ft. 22 AWG Yel 5 ft. 22 AWG Grn 5 ft. 22 AWG Orn 5ft. 22 AWG Blu 5 ft.
UL1007 300 Volt. 28AWG Gauge Stranded Hook Up Wire Kit 5 FEET Ea. 5' EA BLK RED GRN YEL WHT BLU 3/64" Polyolefin 2:1 Ratio Heat Shrink Tube Wire. 3/64 shrink tube will fit on all wires that are 24 gauge and smaller. This wire has a #2 ACSR bare neutral. There are 2 insulated 1 bare conductor. This price is per foot. You can buy as much or as little as you need. VOLUTA 6 7 45 ACSR Neutral 6 1190 114 114. Paludina 6 1 45 ACSR Neutral 6 1190 114 1103.